This video invites surfing fans to pack up their gear and follow Corky Carroll, five-time U.S. Overall Champion and winner of the International Big Wave Competition, to Hawaii for a 50-minute surfing adventure. 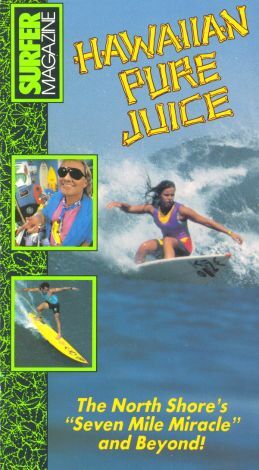 The tape features beautiful scenery, spectacular cinematography, and top-notch surfing action. On top of everything else, viewers will learn the secrets of the North Shore's "Seven Mile Miracle" and get tips from Carroll on where to sleep, eat, and surf on their next vacation to the Hawaiian paradise.